Learn how to easily spin off call sheets after finalizing your shooting schedule (stripboard). 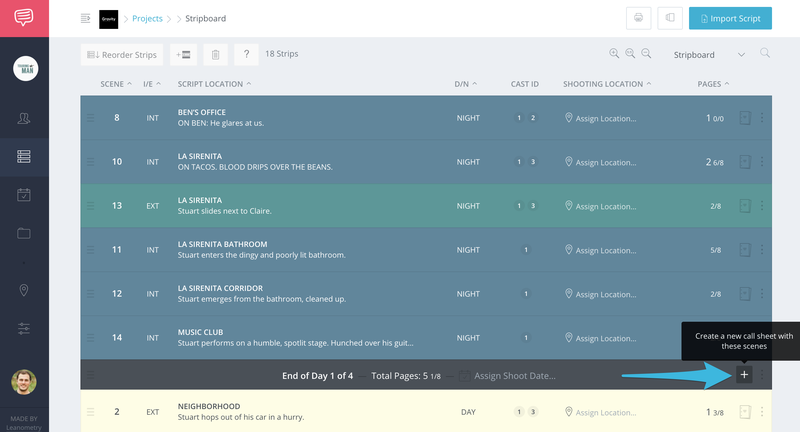 Are you looking to quickly add your shooting schedule scenes to your call sheet? To avoid typing out your entire shooting schedule again in your call sheet, follow these steps to automatically create your call sheet. Simply add your Day Breaks to your stripboard, then add your shooting schedule for each day to a call sheet. 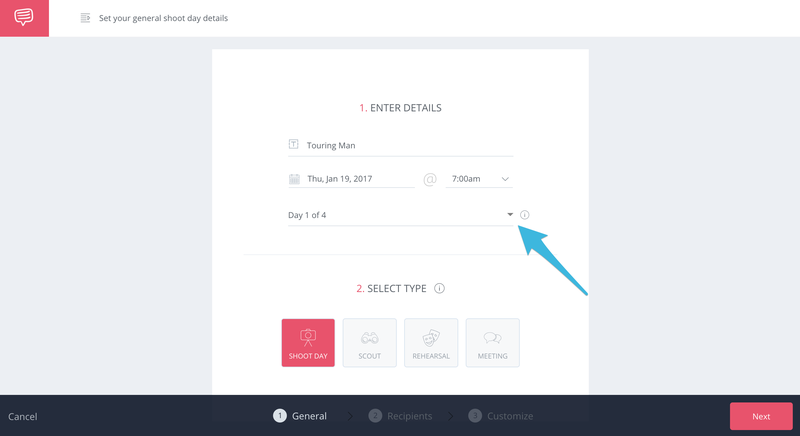 On your Shooting Schedule page, add a Day Break then click the + button. Now continue creating your like you normally would. If you want to change the shoot day, click the dropdown. 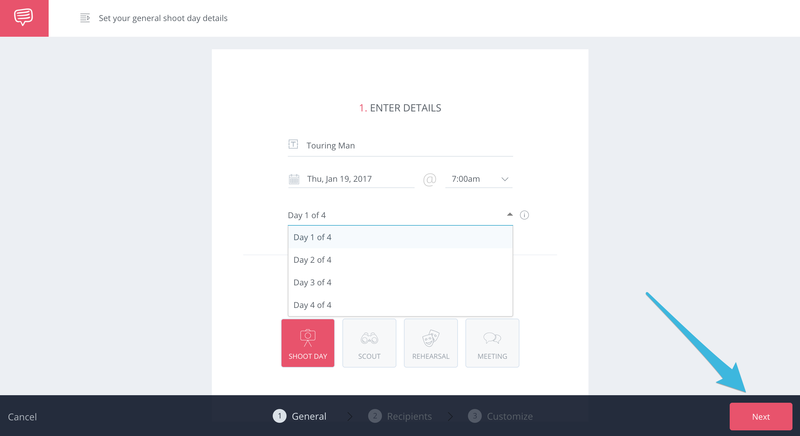 Inside the dropdown, select a different day if needed, then click Next. I had to update my shooting schedule but noticed that my call sheet schedule didn't update. Why? If you decide to make changes to your schedule (after creating the call sheet), it will not automatically update your call sheet. This is because the schedule and call sheet are not in-sync. In general, we suggest finalizing the shooting schedule before generating the call sheet to minimize any potential re-work.